Hello lovelies! It’s Friday, so let’s talk about something beautiful. Something that is stunning blushed and delicious too. Yes, we are talking about tomatoes which I pretty much enjoy, but I am not one of those people who would snack on a bowl of sliced tomatoes, unless it’s roasted. That, I can pop it like candy! You know how roasting the tomatoes actually intensify the flavors. It’s almost like a candy with a tang. How do I even explain what that meant? 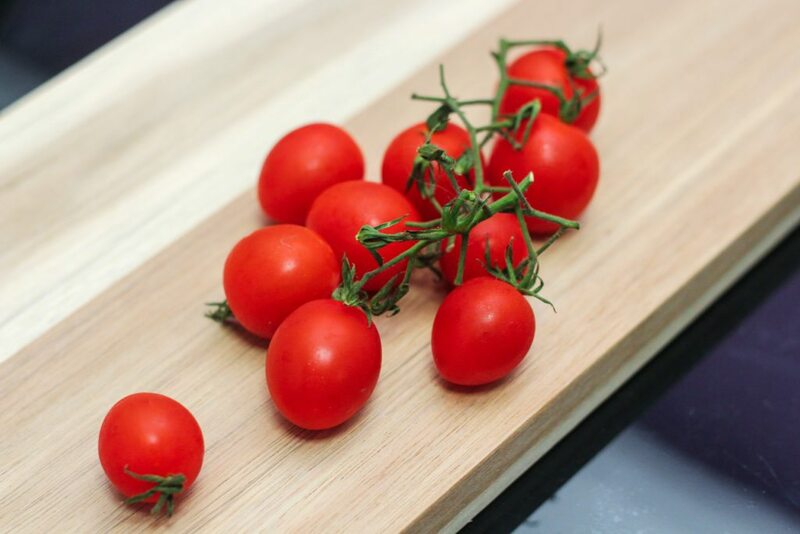 Although I rarely snack on fresh tomatoes, yet I love fresh chopped tomatoes on slices of garlic toasted baguette or ciabatta. Yes, we are talking about bruschetta here, which is a popular Italian starter dish. 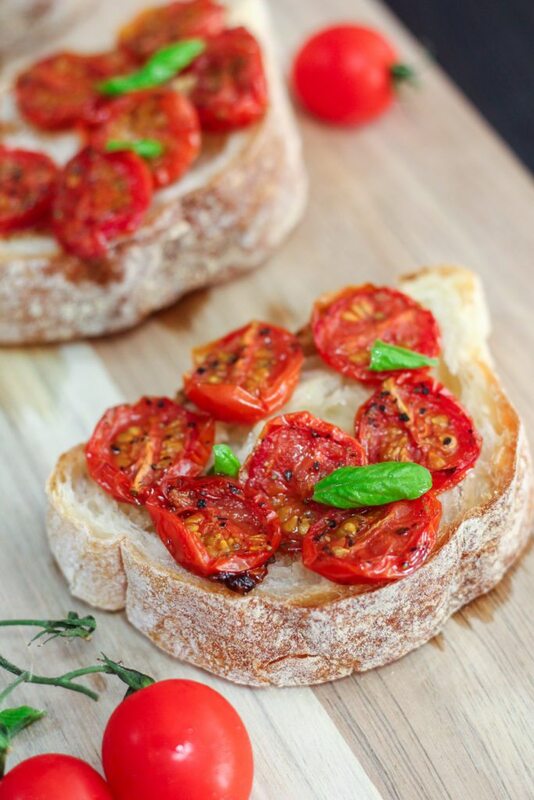 Bruschetta is basically grilled bread rubbed with garlic and top with olive oil and salt. I am definitely #teambruschetta and I love how flavorful this little snack can be with just a mere handful of ingredients. It was $5 and I knew this should never go into the trash. I am so guilty of buying vegetables in excess and we would normally not be able to finish them. No prize for guessing what happens to the vegetables after that. Bad, bad habit, I know. Anyways back to these tomatoes. 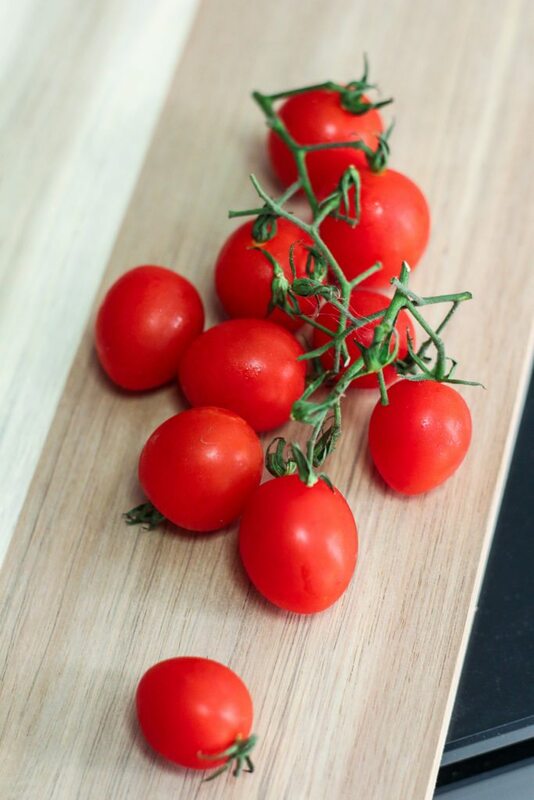 I knew I wanted to make bruschetta out of these lovely tomatoes but I also knew that I wanted a roasted tomato bruschetta this time round and that too with a touch of sliced, fresh garlic. The combination of olive oil and garlic ALWAYS work like a charm. These two ingredients can create a lot of easy and delicious meals like the infamous Aglio-E-olio. For those of you who have never tried roasted tomatoes, can I please convince you to give it a try? Roasting it just makes the flavors more concentrated especially with all the caramelization that goes on. Sweet, yet robust. It’s crazily delicious! This Roasted Tomato Bruschetta makes a nice complement to any entree. It is also the perfect little snack for tea time but more often than not, I would make a tray of this for dinner and both me and my mother would chomp it down gladly. 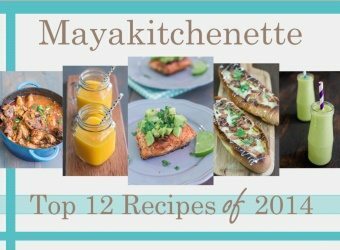 This is really a simple recipe and I hope that you will enjoy this as much as I do. Make it this weekend if you can! This is really a simple recipe and I hope that you will enjoy this as much as I do. Make it this weekend if you can! Bruschetta is a traditional Italian snack that is easy yet flavorful. 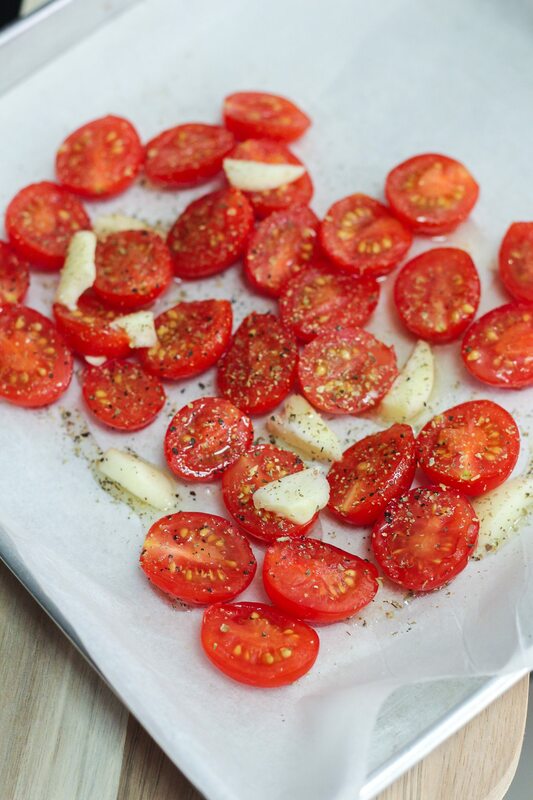 Coat the tomatoes in 2 tbsp of olive oil and season with salt and pepper. Top with the sliced garlic and roast for 20 minutes. Char bread on both sides and rub the hot bread with the garlic halves. 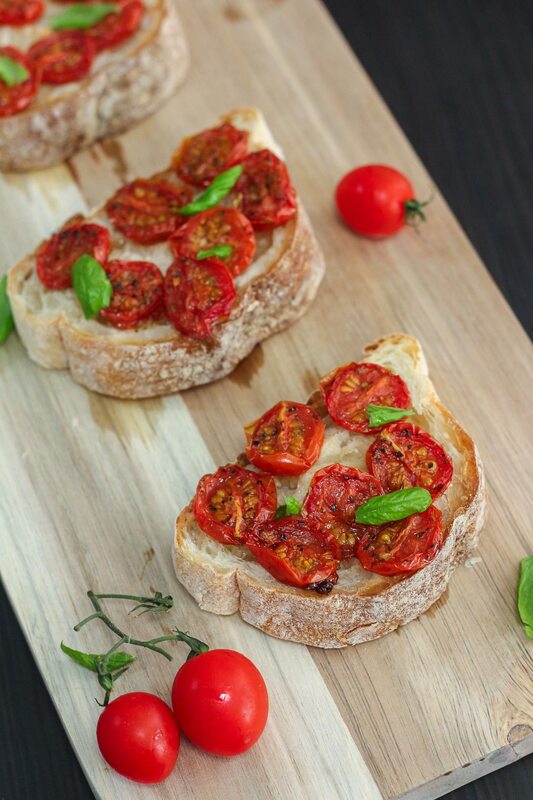 Drizzle with some olive oil and top the toasted bread with the roasted tomatoes.